We'd like to showcase some of our regular volunteers so you can meet them and enjoy their stories. We hope to feature you here soon. Give volunteering with us a try. It'll do your heart good! 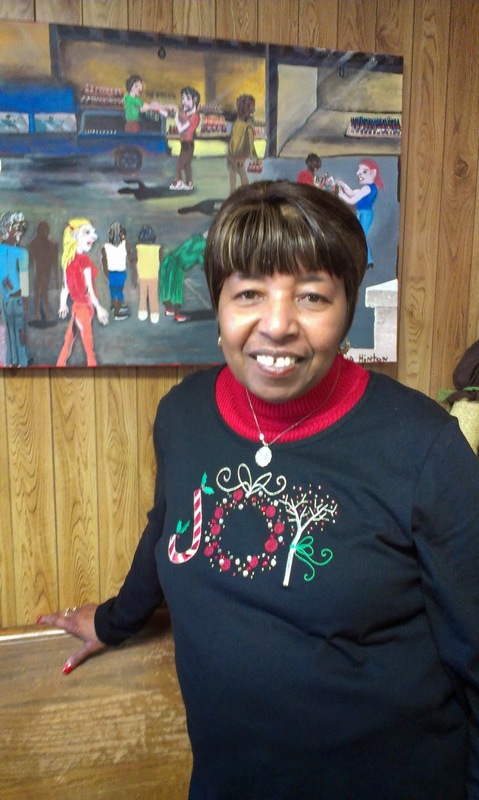 Our president, Mrs. Lowery, affectionately Sister Lowery, is serving up a triple birthday party for our volunteers. 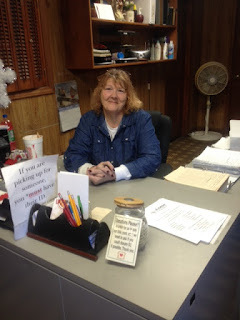 Linda takes care of the front desk and is usually the first one you see when you come in. She is very dedicated and hard working. She's learned what we do from the warehouse up. This is Dolores. She spent 20 years in the military and 20 years working for DSS. Her experience is a great value to us. We love having her as part of our team! Oleeta joined us over 15 years ago. She took care of her mother until she passed away and then came to volunteer with us. When asked how old she was she laughed, "80 degrees!" 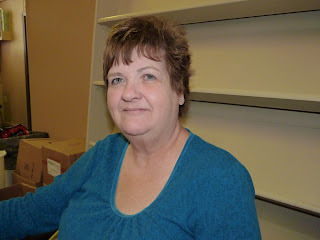 She is our box packer and loves her job and the people she works with. She says she would be lost without it. 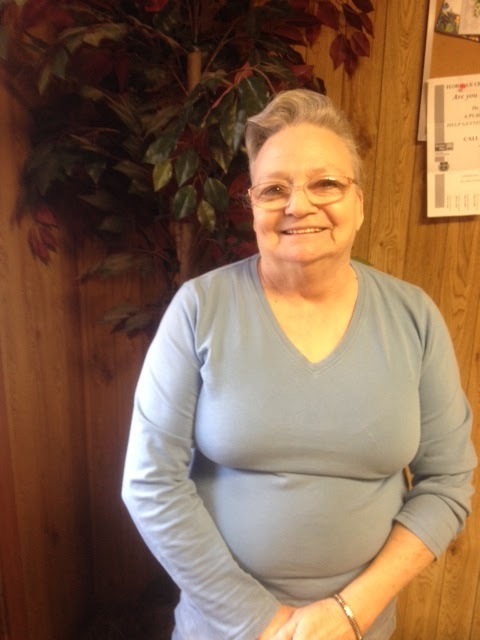 Ann has been with BREAD for over 10 years. She boxes up the food. "I love to help people and know I'm making a difference. I just love it.” She says. 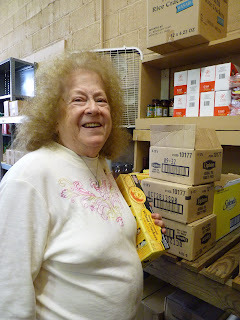 "Peanut" is a long-time volunteer that helps in the stocking room. She is faithful and hard working and a blessing! Cathy and Linda are working in the back where people receive food. In the heat and cold they work so hard to bless others. Even when it's 100 degrees they don't complain. We are grateful for their service! Meet Charlie Brown. He's the first one a client sees when they come to BREAD. He's 73 and saw the need for someone to control traffic to our 6 parking spaces and stepped right in. He knows most everyone and no one leaves without his hearty welcome and encouraging smile. 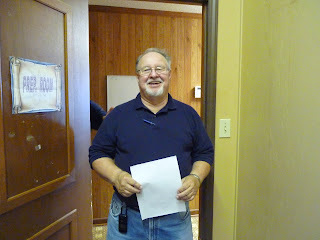 Jim has now retired from every day volunteering but he still brings food donations in, drives the big truck and he and Linda help out when needed. We are grateful for all the years of service of Jim and Linda! 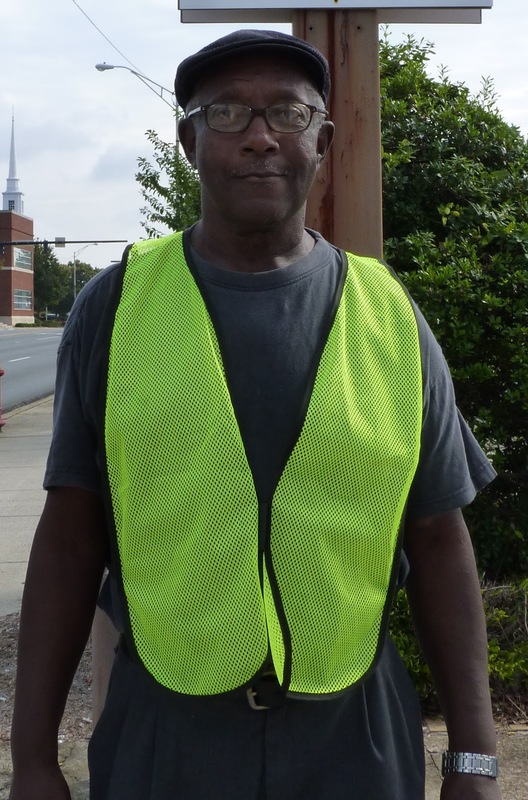 Harold is ready to help wherever he is needed. Thanks so much, Harold! Victoria presented us with a gift of her artwork depicting volunteers serving families who come to BREAD for assistance. There's alot of her love and giving in that painting. Thank you for your big heart and your big gift, Victoria! She is starting a small business doing art work. 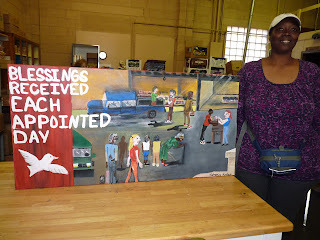 If you would like to have a painting done, we will be glad to put you in contact with her.